Brick Activity Weeks typically run during school breaks and select weeks during the summer. Activity weeks last five days and run for three hours each day. Mini-weeks are three days with three hours each. These Activity Weeks use the educational value of brick building to create a multi-platform learning and play experience for kids. WeDo programming with build-able robotic projects, open builds, set building, simple machine building, stop-motion movie making and much more is available! ​Please visit our Contact page if you have questions, check our Events page for upcoming Activity Weeks, and use our Forms page to sign up. We are happy to customize a brick party for people of all ages and stages. We can bring the party to a location of your choosing or we can arrange to have an on-site party. 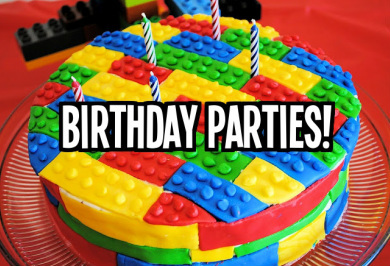 Brick building, games, and thematic brick party fun geared toward the interests of your birthday boy or girl, as well as group and non-builder activities incorporated in to all birthday parties. Food is welcome but not provided. Currently, we incorporate our brick-building program into the Risen Christ Preschool in Fairport, NY. 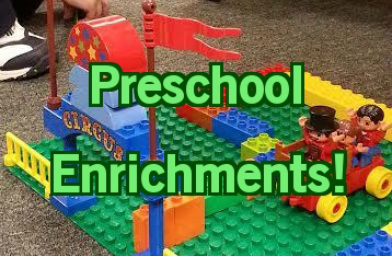 This includes: our early drop-off time, our chapel time, our Wacky Wednesdays with two of our 3 year old classes, and for our after-school enrichment program on Thursdays and Fridays during the school year for ages 3, 4 and 5. We would welcome the opportunity to bring enriching brick program field trips to other preschools in the area. Contact us to learn more. Please visit our Contact page if you have questions, check our Events page for upcoming Activity Weeks, and use our Forms page to sign up.